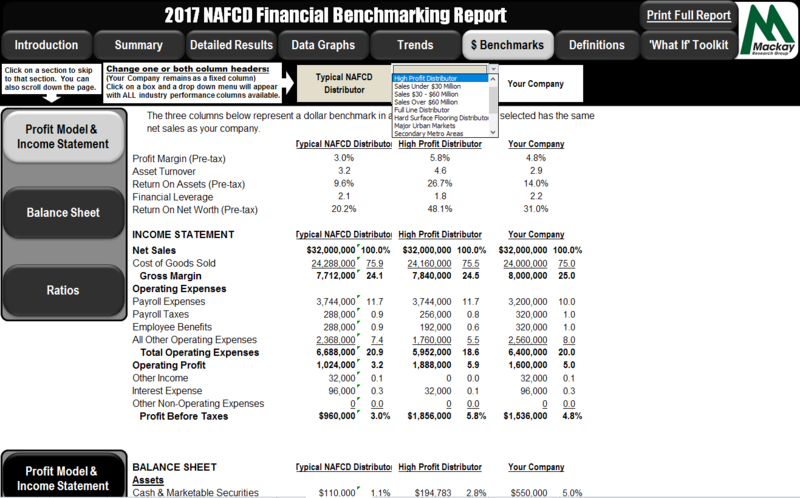 NAFCD has officially opened the 2019 NAFCD Financial Benchmarking Survey designed to optimize distributor performance in an environment of relentless pressure on profit margins. Participate today by downloading and completing the PDF or Excel version of the survey and sending it back to our partner, Mackay Research Group. The 2019 study will provide the best way for you to more accurately assess performance, identify areas of improvement, uncover new opportunities for growth and support your banking relationships. The 2019 NAFCD Financial Benchmarking Report will only be available to participating distributors. Return the survey to our new benchmarking partner, Mackay Research Group via email, fax or mail. NAFCD and Mackay Research Group are extremely sensitive to this issue. Mackay Research Group’s staff has 30+ years of integrity in dealing with sensitive data from private companies. Not to mention, NAFCD’s commitment to our members to ensure complete confidentiality of your data. NAFCD and Mackay Research Group have been conducting financial benchmarking surveys for many years and have never had a data breach. Your data is sent to Mackay Research. It is never viewed by the NAFCD staff or volunteer leaders. No one from NAFCD or its staff, officers, directors nor committees will have access to individual company operating and financial data. Specific data masking procedures are in place to ensure that no one company's data can be identified from the aggregate industry data being reported. Your data is safe with NAFCD and Mackay Research Group. If you have any questions or concerns, please reach out to us at info@nafcd.org. Feedback and recommendations to further enhance this member service are always welcome. You may also contact our partner, Mackay Research Group, with questions at surveys@mackayresearchgroup.com.